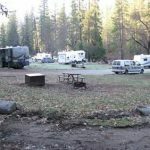 The campground is located along the Merced River, near the Mariposa Grove, and near the historic Wawona Hotel in Yosemite National Park. Picnic table, fire pit, and bear locker in each site. Restrooms with flush toilets; no electrical outlets or showers. Potable water spigots dispersed in campground. No dump station. No hook-ups. There is a store and gas station nearby. Directions: Take Highway 41 north from Fresno, Highway 140 east from Merced, or Highway 120 east from Manteca into Yosemite National Park. Follow signs to Wawona. 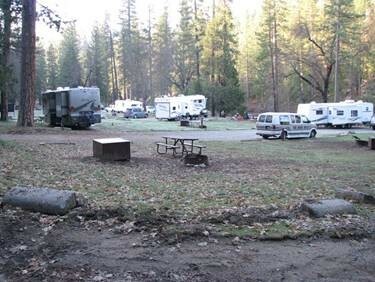 The campground is located 8 miles inside the park on Highway 41, and 27 miles from Yosemite Valley.